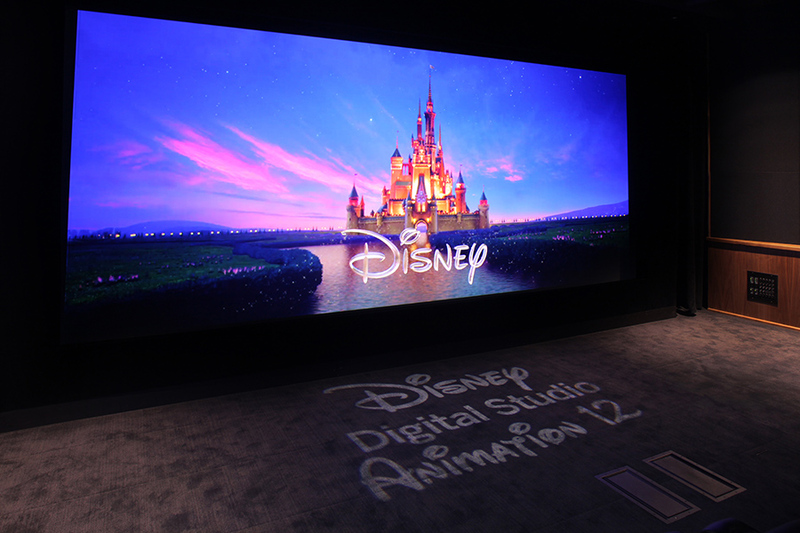 Old An 12 is our newly renovated theater located in our historic Old Animation building. This theater is optimized for 3D Digital Cinema and houses a silver screen which allows for RealD 3D screening capability. Digital cinema presentations are supported including playback of nearly any type of digital source over our secure Studio Production Network digital fiber optic connection to our Digital Studio Services digital playback hub.